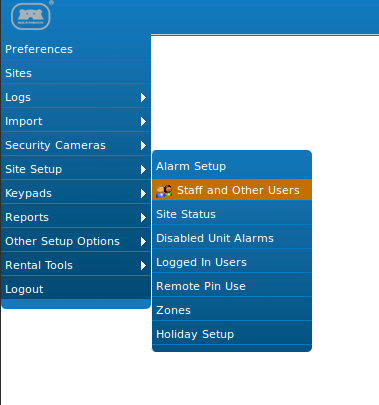 How do I set access levels for staff, cleaners, security guards etc? 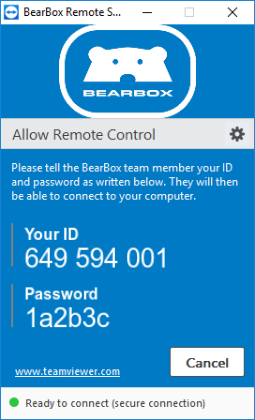 By default, your site management program will pass BearBox information about your customers' access levels and pin numbers. 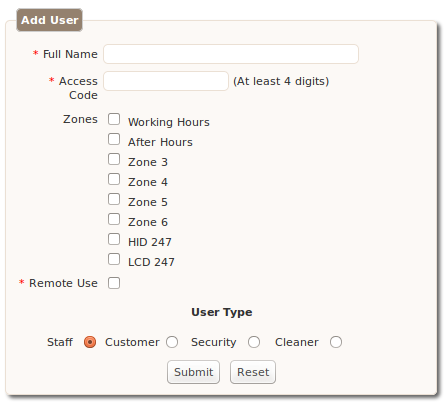 If you need to add a extra users for your system – for example if you need to add in clearance for a cleaner or a security guard, you can add it under SiteSetup -> Staff and Other Users. From here you can add in a new username (Full Name) and give them an access code. Check the boxes next to the Zones you want this user to access. It may be useful to have a specific zone for the cleaner; for example you could set up a zone that allowed access between 6pm and 8:30pm. The User Type radio buttons are for sorting purposes and will be reflected on the screen below this menu. 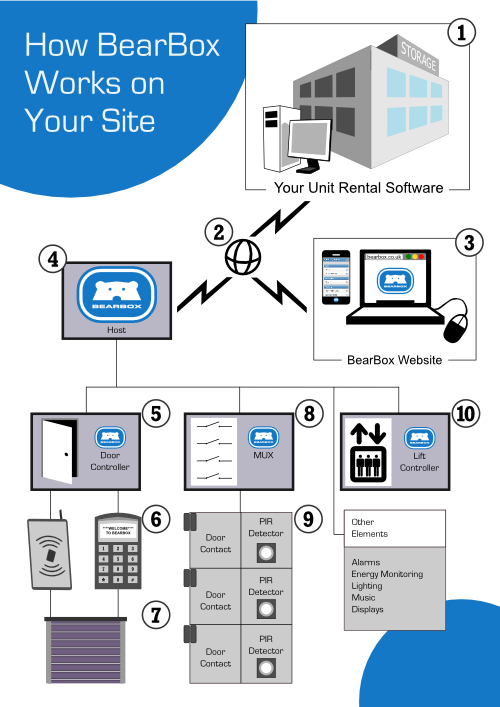 When you've finished updating the site users, select Send Users/Pins to Site at the top of the screen. The pins should be updated in a couple of minutes.